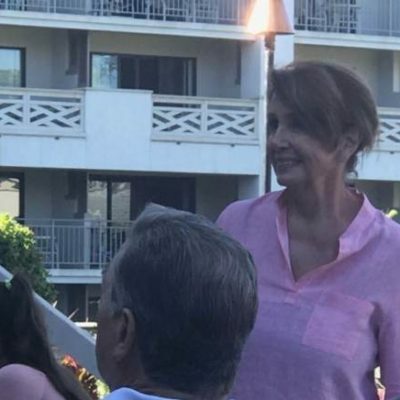 Speaker Nancy Pelosi headed to Hawaii for resort time at the $1,000-to-$5,000 per night Fairmont Orchid, while the U.S. government was partially shut down. In contrast, President Trump cancelled his Xmas and New Year’s planned vacation time at the Mar-a-Lago resort. The story was covered by Fox News and the New York Post among others. 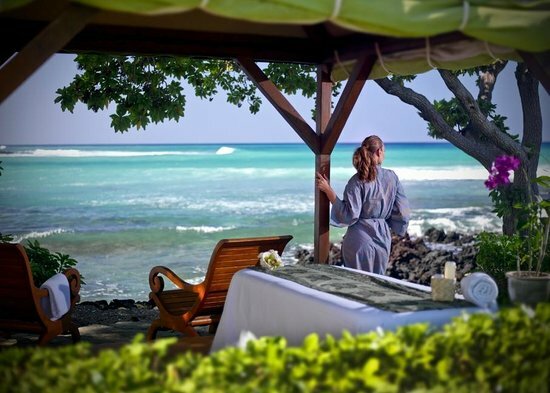 For some reason, the New York Times, Washington Post and the big networks did not report Nancy’s between Xmas and New Year Kona spa days on the Big Island. Reminds Almost DailyBrett of the adage: If Nancy swam in the Pacific and the New York Times passed on the story, did she still get wet? Despite the fact her ideologically aligned media gave her a Mulligan, was it smart public relations/politics for the honorable speaker to depart for “Spa Without Walls” Hawaii with the rival president managing les affaires d’état from the Oval Office? 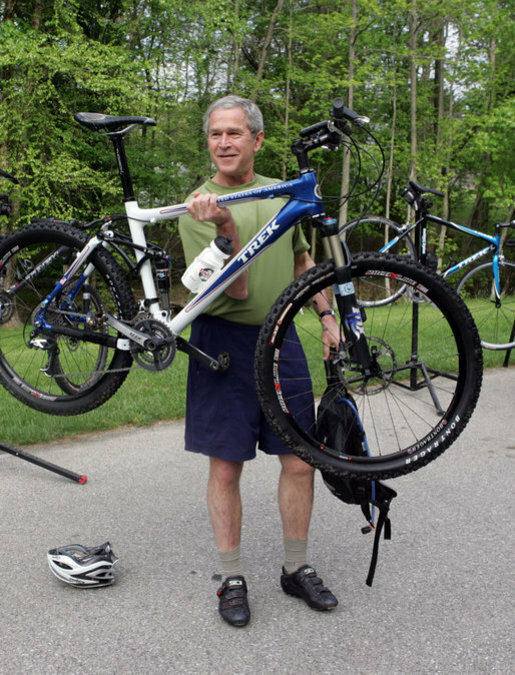 Every president is roundly criticized for playing golf (e.g., Trump), shooting baskets (e.g., Obama) or bike riding (George W. Bush). 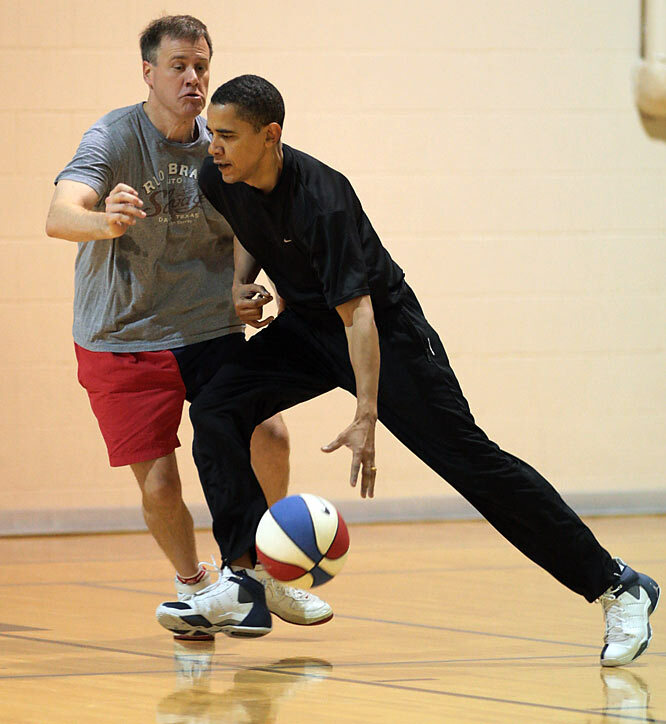 The implication is that presidents should have zero hobbies or interest in staying fit, while also blowing off some steam. As a former press secretary, your author would gladly confirm my chief executive is indeed playing golf, shooting baskets bike riding etc., and would question the political motivation of those who had a problem with these healthy recreational activities. Having said that, Almost DailyBrett contends presidents and congressional leaders need to practice The Time-and-Place Rule. The rhetorical questions: Is this the time? Is this the place? 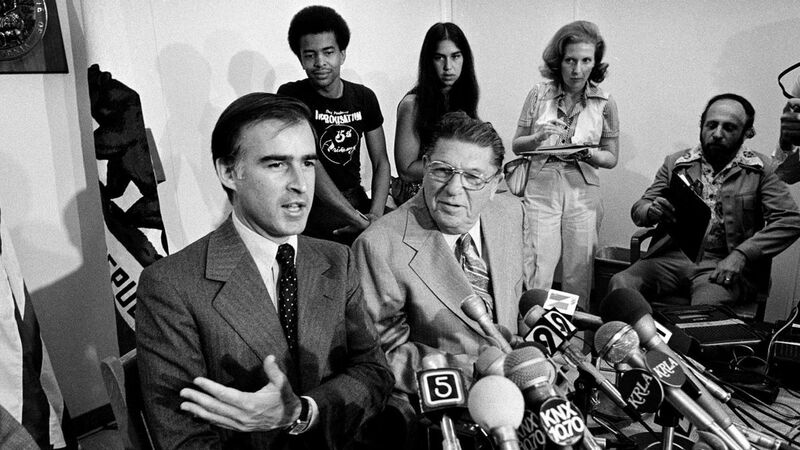 For example, first-time-around California Governor Jerry Brown, who opposed Proposition 13, immediately befriended Howard Jarvis and became a born-again tax cutter. He remained in toasty Sacramento that summer, and directed the state in subvening $4 billion to the state’s 58 counties. His Republican opponent Attorney General Evelle Younger immediately left for Hawaii. The contrast could not have been greater. Brown working to implement Proposition 13. Younger basking in the islands. The predictable Jerry Brown negative campaign ads featured … you guessed it … Evelle Younger and hula music. Younger never recovered from violating the Time-and-Place Rule, losing by more than 1 million votes in the fall 1978 general election. Fast forwarding four years later, my boss then-Attorney General George Deukmejian had just won a hard-fought GOP primary for Governor of California. Translated, he was going to take a welcome vacation in California with his family. Hawaiian music would not played in his opponent’s radio and television ads. George Deukmejian paid homage to the Time-and-Place rule and went on to win in November. Did Nancy Pelosi violate the Time-and-Place rule? Yes. Does it matter to her liberal media sycophants? No. Does it undermine her faux concern for the 800,000 federal employees, who are not being paid? Yes. Very few of them have the resources to listen to hula music real time, and enjoy the trappings of a $5,000 per night Hawaiian resort. To Be Or Not To Be A Cherokee? What is the definition of a story with “legs” (No pun intended)? From a public relations standpoint, it’s a negative story that can’t or will not be stopped. BP couldn’t contain the gushing oil into the gulf. Hillary was unable to stymie the drip-drip of the 2015/2016 home server/emails scandal? Madam Secretary is now a distinguished private citizen with yet another book to sell (Look for it on your Walmart discount rack in about six-months). And then there is the Senator Elizabeth Warren’s (D-Massachusetts) self-inflicted wound about whether she has Cherokee blood somewhere, somehow, anywhere on the maternal side of her family. 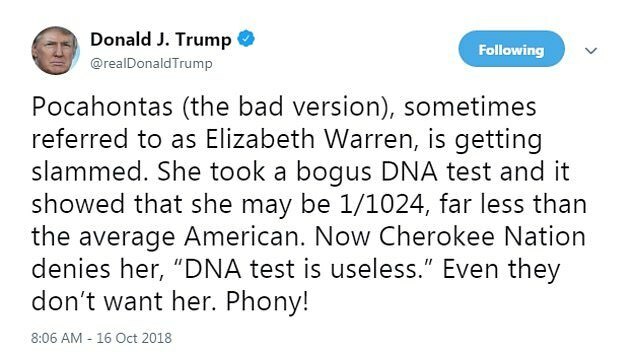 President Trump lovingly labels her, “Pocahontas,” clearly getting under the skin of the honorable senator from Massachusetts, once taunting her to take a DNA test to clarify her ancestry. 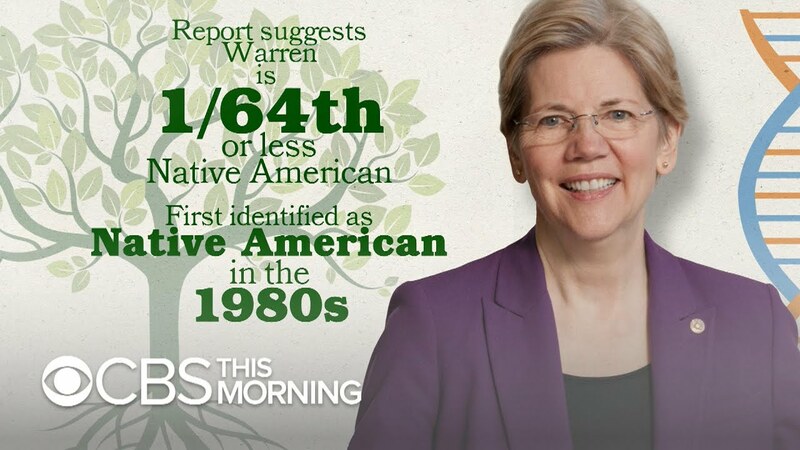 And yes, she took the Stanford University test and the results indicated she was at best 1/64th Native American and no worse than 1/1024th Native American. There may be (or not) a smidgen of Cherokee Nation in her blood line, which originated somewhere between 150 and 250 years ago. The Cherokee Nation was not impressed. From assessing the reaction from the Washington D.C. Punditocracy (95.2 million Google results in 0.33 second), Almost DailyBrett must ask: Why Senator Warren is egging on a story that should simply die a quiet death? Is there some crisis communication wisdom that lies beneath the surface? Trump challenged Warren to prove she was a “person of color” by taking a DNA test. The senator responded by submitting to the much criticized blood exam. The real question is whether the almost certain Democratic candidate for president made a terminal move against her interest in becoming POTUS #46? What are the four tenets for Crisis Communication: Tell the Truth. Tell It Quickly. Tell It All. Move On. We can argue whether Warren is telling the truth, let alone telling it all. We can agree that she is telling it (relatively) quickly and trying to move on (if she can). Consider the calendar. A few days after the most likely inconclusive No Blue Wave (e.g., Dems may take the house, Republicans remain in control of the Senate) November 6 midterms, the pundits will quickly shift focus to the 2020 presidential cycle. When a candidate has bad news to bury, when is the best time to exorcise this demon? Your author counsels at a time and place of your choosing. As Almost DailyBrett wrote three years ago, the failure of candidate George W. Bush to address his 1976 DUI arrest at a time and place of his choosing well before the 2000 presidential election cycle almost cost him the presidency. The DUI was shockingly revealed just five days before election day. It was “breaking” news. Senator Warren well knows that her Massachusetts colleague, John Kerry, was “Swift Boated” by Bush in the latter weeks of the tight 2004 presidential campaign. 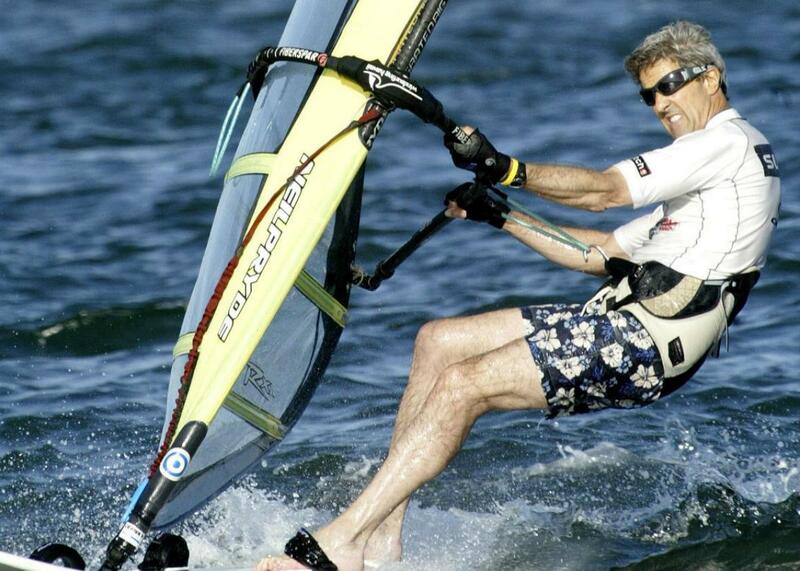 Kerry never recovered. 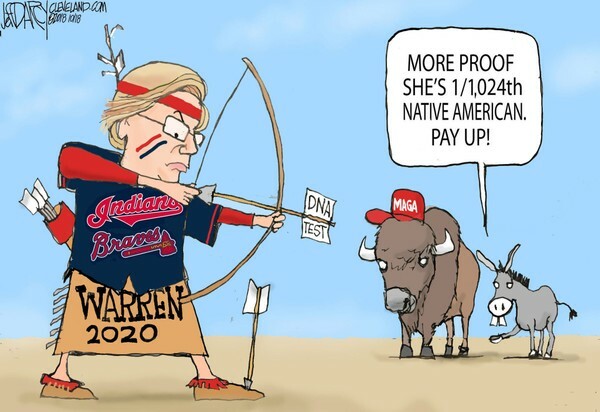 Perhaps Warren is dealing with the Cherokee Nation issue now, making “old news” of an anticipated attack line in the upcoming Democratic Party presidential primary season. You can envision her crossing her eyes when this ancient issue is brought up. Undoubtedly Trump will charmingly continue to label her, “Pocahontas.” She in turn will have a few choice rejoinders for him. 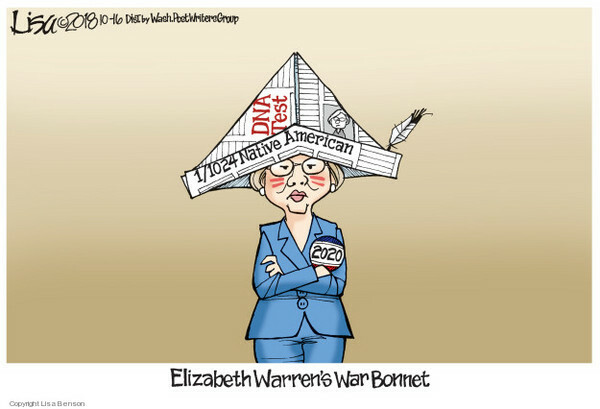 For Warren she is hoping the “Native American” issue becomes “old news” in 2020, dispensed with glaring headlines/cartoons/jokes about a controversial DNA test … way back in 2018. As public relations practitioners we have all learned the following about bad news: It almost always finds a way into the public domain. We have a choice: We can either manage it or be managed by it. One of the biggest problems with handling bad news is that executives and their lieutenants in many cases wish for it to just simply go away or be swept under the rug. This is understandable human nature, but it is not good communications policy. Many partisans want to shoot the messenger and skip over the important message, in this case, Karl Rove, the author of “Courage and Consequence,” www.rove.com. His book provides an important lesson about bad-news management; and in particular a missed opportunity that almost cost his boss, George W. Bush, the presidency. It pertains to Bush’s DUI arrest in Kennebunkport, Maine on Labor Day weekend in 1976. Ah, the time-and-place rule of strategic communications comes to the forefront once again. You can control the flow of information or have that information control you. The intransigence of the chief executive in this case almost cost him the White House, and conceivably resulted in him losing the popular vote against Al Gore. Even though he admits that it is impossible to accurately quantify the impact of the DUI revelation just 96 hours before Election Day, Rove said if just 2 percent of voters changed their minds that meant that 2.1 million votes went into the other guy’s column. That figure is approximately 4x Gore’s eventual 543,895-vote lead in the popular vote and probably cost Bush four states that he lost by less than 1 percent: Iowa, New Mexico, Oregon and Wisconsin. Engaging in a little Monday morning quarterbacking 10 years later, what should have been the strategy of the Bush campaign team? ●First, convince the principal of the inevitability of disclosure and strongly suggest a management program. Lay out very clearly the consequences and folly associated with the withholding of critical information. ●Second, look at the calendar – the 1999, not the 2000-election-year calendar – for a strategic time and place to make the announcement or to allow the news to miraculously leak. The strategy is to make the DUI arrest ancient news by the time of the 2000 general election. ●Third, figure out the means of disclosure (e.g. deliberate leak, response to a TV interviewer, Drunk-driving awareness event). The 1976 DUI arrest could be seen by the public as a “lessons learned” experience. Granted that saying all of the above is easier than doing. However, controlling the story on your own terms and dictating the timing is far better than responding to media questions about SEC fines, attorney strike suits or even losing the presidency.